Let’s face it, there’s just no convenient way to take directions while riding your bicycle. Getting your phone out is too much of a distraction and flat-out dangerous. And since I come from the bike capital of the world, I’ve seen my share of it. Blubel promises to change this in the smartest way we’ve seen thus far. 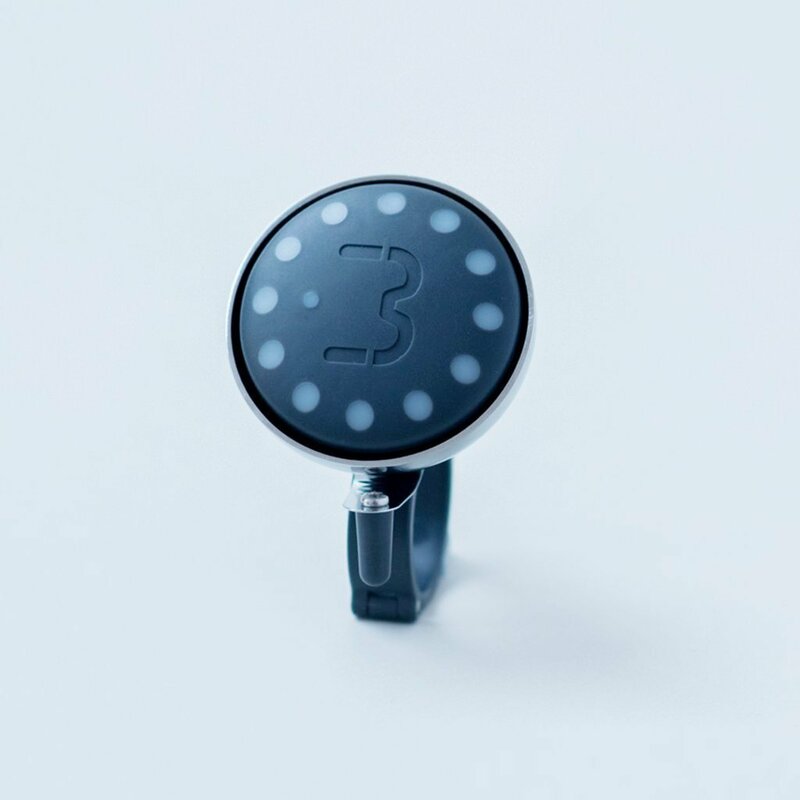 Blubel is a bicycle bell and a turn-by-turn navigation device with subtle light indicators. Powered by your smartphone’s GPS system over a low-energy Bluetooth connection Blubel conveniently indicates when you need to turn left or right. Just pop it on your handlebars and there’s no reason to ever take your phone out when you’re lost somewhere with your bicycle. Easy navigation with turn-by-turn guidance and compass of your destination. Portable device and the spring mechanism in the mount makes it easy to pop Blubel on and off the handlebars. Supported by the app, Blubel will guide along quiet safe routes anywhere in the world. Safe to read on the go with no-glare lights and audio signals so you can keep your eyes on the road. Rechargeable, with 21 days on a single charge – it also saves your phone battery. Waterproof and shockproof to cope with even the toughest rides. Classic bicycle bell: pull the matching ringer for a lovely chime! Buy Blubel from the official website.